[12/26/2018 @ 11:54 PM] Book this fare on: Southwest, Priceline, BookingBuddy, Travelocity, Orbitz, Expedia, CheapTickets, Hotwire. [01/27/2019 @ 12:47 PM] Still available. FEB-MAY, was JAN-APR. 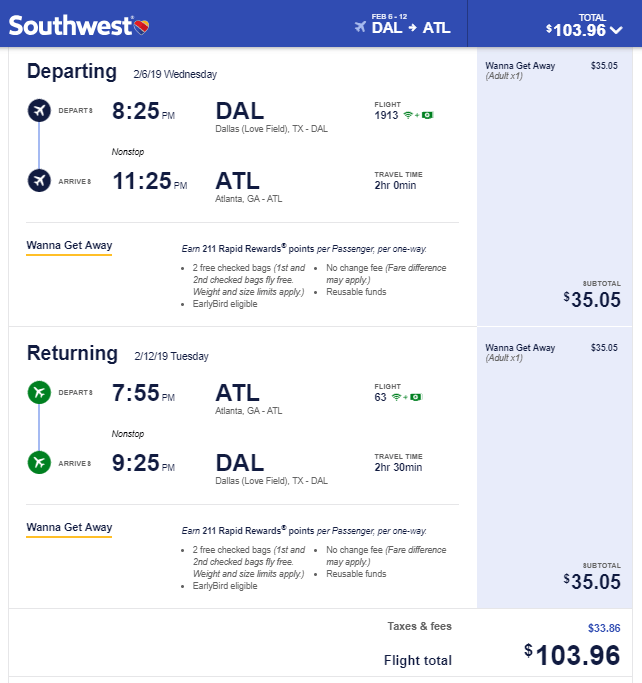 Southwest has round-trip flights from Dallas (DAL) to Atlanta (ATL) starting at $102, NONSTOP. $51 each-way. Flights February to May. A few weekends available. 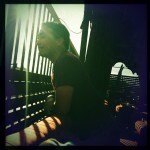 Origin/Destination reversible. No Holidays. Expect prices to fluctuate by about +/- $10. Note: Most return flights are “Red-Eye” early morning, but there are a few that leave in the evening. Note: You can save up to an additional $100 if you book your Flight+Hotel together as a package on Southwest Vacations, and use the US100OFF coupon-code at checkout. Example Dates: (Southwest) Feb 06 – Feb 14 / etc… / May 11 – May 14 / Other dates: Use the Fare Calendar on Southwest. There are more dates available than the ones we list here, experiment on your own.